Blame it on their friends, Gayathri & Pushkaraj started spending more & more time with each other as their friends in the group had already started dating among themselves. The first time both of them met during the first year of engineering, no way in the world they could've dated each other. An amazing friendship that they had formed in the process bloomed into something even more beautiful. It took a heated argument for Pushkaraj to confess Gayathri that he had already fallen for her & since then things only got better. Given the number of dramatic events that have taken place, the story of Gayathri & Pushkaraj isn't any lesser than a top movie story. Having failed at two attempts to get his proposal right, Pushkaraj set a precedent by planning third picture perfect proposal for Gayathri. Obviously, she was taken aback & just couldn't contain her happiness. 'One of the best evenings of my life. ', recalls Gayathri looking at Pushkraj. 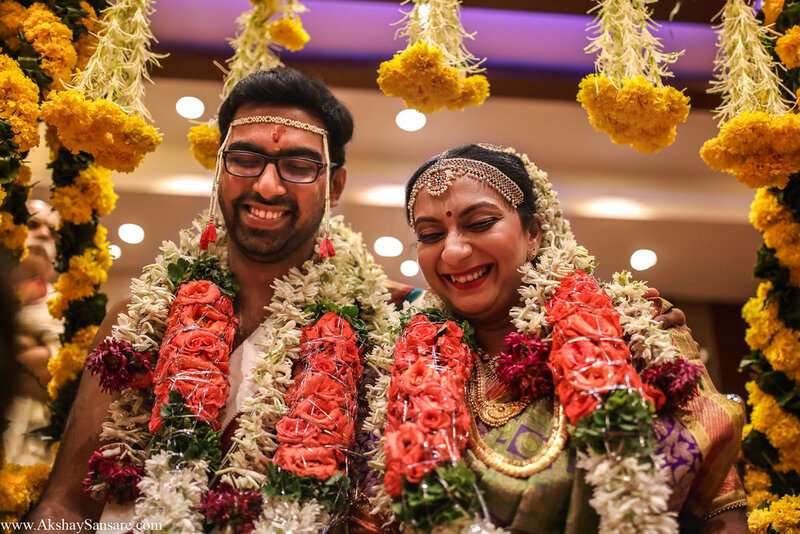 This culmination of Tamil - Maharashtrian wedding provided us with more than what we had asked for. When the team of Akshay Sansare Photography first stepped into Byke Suraj Plaza, we couldn't think of anything better than this. 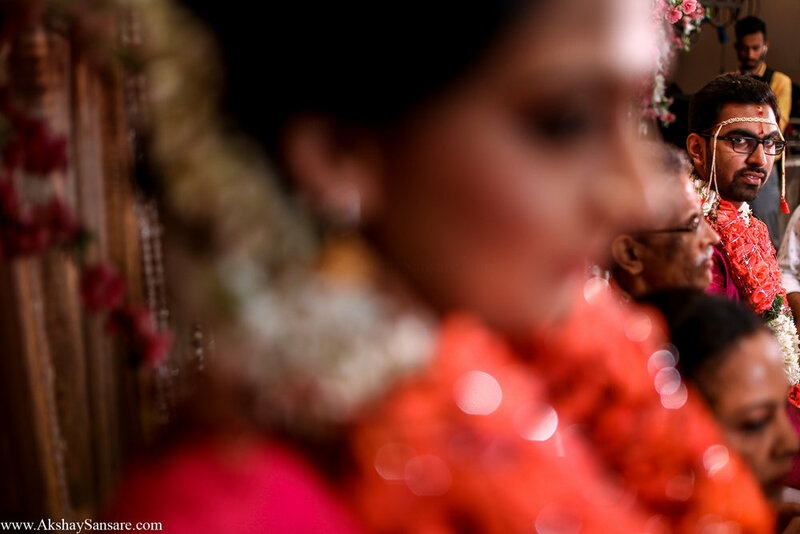 Let it be Sangeet or wedding, we loved this cultural mix where fun oozed out of every event in vibrant, colorful ways. Gayathri & Pushkaraj were amazing right from the start & the never-ending energy they possessed, set us in the perfect mood. 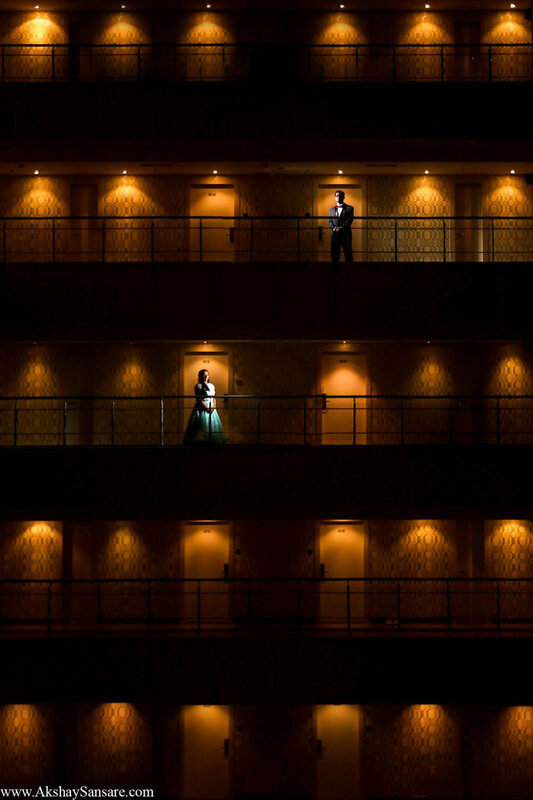 The Wedding day ceremonies were scheduled early morning, yet these two weren't ready to back out without getting their portraits done even at 1.30 in the night. Talking about chemistry, not only the couple were in sync, but even the families had gelled in so well with each other that we could only admire from distance & capture them as much beautifully possible. It was refreshing to see two different cultures coming together & forming a set of rituals which honoured & welcomed both the religions. It's amazing how Love can change things in the most mysterious ways. 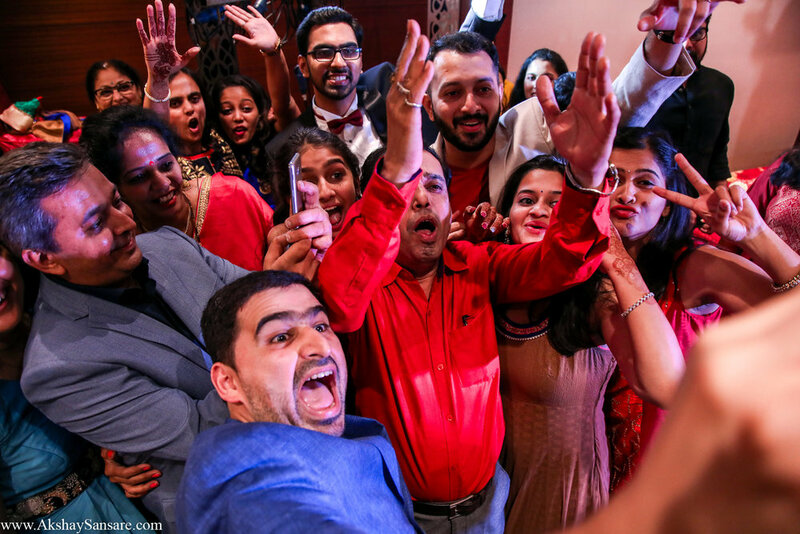 It’s been a candid and stress-free experience capturing a celebration in Mumbai, India, and after this wedding, we look forward to many more memorable experiences here.